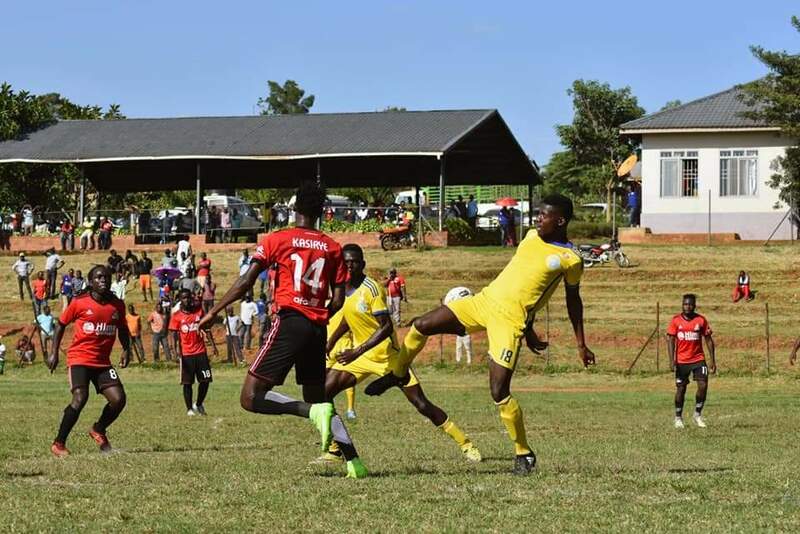 MWERERE – Defending Champions, Vipers Sc played to a barren draw against Fred Kajoba’s side at Champions Stadium, Mwererwe. This was Nam Ouma’s first game since he took over from Mexican Javier Martinez Espinoza as head coach in December. Four minutes into the game, Duncan Sseninde with a well taken corner which was collected by the Bright stars custodian. All Vipers forwards came close to scoring but the hosts where up for the challenge. With 15 minutes left in the first half, Nelson Ssenkatuka found the back of the net but his goal was correctly disallowed by center referee Alex Muhabi, for offside. Neither of the teams was able to break the jinx at the half time at Mwererwe. Midfielder Brian Nkuubi tried to tangle up matters but his free kick resulted into no goal. Ammendments were made as Bright stars midfielder Rajab Kakooza paved way for Henry Kiwanuka and Moses Okot replaced by Jungu. 69 minute, Dickens Okwir replaced Duncan Sseninde as the second Vipers substitution. Vipers Sc Custodian Fabien Mutoobora was taken off limping, replaced by Derrick Ochan, who registered 3 good saves on the day. Vipers’ Dan Sserunkuuma was the only player booked while Bright Stars Moses Okot was named Pilsner man of the match. Fred Kajoba now registers his 5th draw of the season while Vipers note a straight second consecutive goalless stalemate. Bright stars stand in 7th place with 20 points on the log while Vipers SC remain 2nd with 26 points. In the game played at the Mighty Arena, Kirinya Jinja SS failed to end URA’s unbeated run as they drew 1-1 at mighty arena. Said Kyeyune opened the score sheet for the tax collectors at the hour mark while Kirinya’s Joel Madondo levelled matters through a spot kick.